Nick Berkley is happy being the best man, never the groom. Life is complicated enough with his thriving veterinary practice and working nights at the family pet store covering for his ailing father. He prefers dates to relationships. He doesn't need one woman to try to change him or his ways. 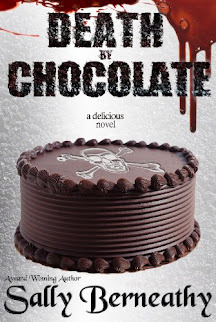 Now his friend's Marine unit is shipping overseas and with only two weeks to plan a 4th of July wedding, Nick's put in charge of finding the perfect wedding cake when all the bakeries in town are booked for the holiday. Independent single mother Delilah Redmond still remembers the first wedding cake she watched a groom feed his bride. In that one magical moment, baking the perfect wedding cake became her passion. Six years later, Delilah finds herself wishing for more—more time with her son and more of a name for herself in the wedding cake business. But long hours in the kitchen with no recognition have left her feeling like a failure on both counts. 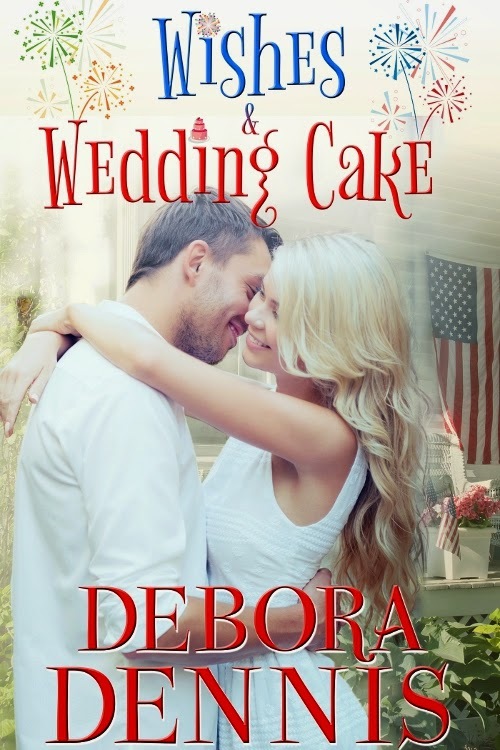 Now Delilah's thinking of giving up her cake pans, and she hopes a vacation in the quiet mountain town of Starlight Hills will help clear her head…until she meets Nick, the desperate-for-a-cake best man. Sweet desperation has Nick making promises he's never made before and one woman's to blame. Now, pulling off the perfect wedding cake may force Delilah to depend on someone else…but she might also find everything she's ever wished for. From the corner of her eye, she saw a man stand and motion to her. Nick Berkley, a.k.a. the Cake Man. The ripple of anxiety grew into a life-size wave. Her nervous fingers brushed at the sides of her pink sundress as she hoped the heat rising up the base of her neck wasn't visible. Even from the doorway she could sense his blue eyes watching her—sizing her up, most likely. So, she'd share a meal with the man. No harm in that. Delilah walked to the table, and he pulled out her chair. Apprehension zinged along her spine, though he was a perfect gentleman. He'd changed clothes since their earlier encounter on the street. His T-shirt was now replaced with a black golf shirt. She looked around for his dog; thankfully, he was nowhere to be found. A single yellow daisy stood at attention in the bud vase between their two plates, and in the awkward silence of those first few seconds while he sat and adjusted the napkin on his lap, she considered counting the petals to avoid his eyes. She glanced up, only to be instantly captured by the twinkle in his sapphire eyes. Then he smiled, the carefree grin tugging at the edges of his lips. Warmth spread through her chest. Though she wasn't naive enough to believe this was anything more than part of his act, she could still enjoy the man's company. He wanted something that he thought she could provide. Whether she said yes or turned him down, having dinner with a good-looking man wasn't a bad way to start her vacation. Her mother would have a field day with him and his proposal. Still, Delilah found herself intrigued, and ignored her mother's voice that always took up residence in her head at the most inopportune times. He held out his hand across the table. "I guess we should introduce ourselves. I'm Nick Berkley, and just so you know, I don't normally ask strangers to bake cakes for me." She couldn't resist the laugh that bubbled up. His admission made him even more endearing. She extended her own hand across the table in return, letting it be enveloped in his. "Delilah Redmond, and just so you know, I don't pack cake pans in my luggage when I'm on vacation. And you'll forgive me if I seem a little cautious, Mr. Berkley. I must admit I'm feeling a little like I've been set up."